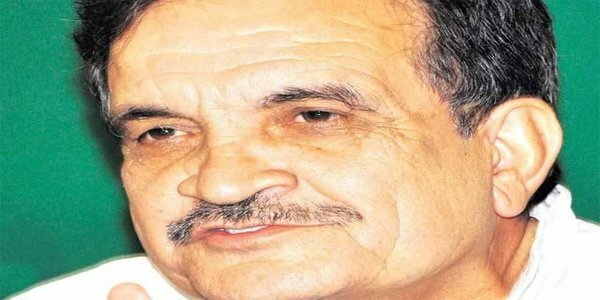 Rebel Congress leader Chaudhary Birender Singh today joined BJP in the presence of its chief Amit Shah at a rally here, ending his over four-decade association with the party in poll-bound Haryana. Singh, 67, a Rajya Sabha MP, who had openly revolted against Chief Minister Bhupinder Singh Hooda, made his announcement of joining the BJP along with his supporters, two days after he was suspended from the party. His close confidant Jagbir Malik, a former minister also joined the BJP along with him besides some other former MLAs. “The path I have chosen for myself will help strengthen the BJP in Haryana in the next 15 years,” Singh said. Singh and former CWC member Jagmeet Brar were recently suspended by Congress for “gross indiscipline” and “deliberately lowering the prestige of the party”. The veteran leader and former Haryana Finance Minister had openly revolted against Hooda and his quitting the ruling party, has come as another jolt to Congress in Haryana which has faced a series of desertions in the election year. Polls are due in October in the state.